Description: This is an uncut three trading card sheet advertising for the Siege of Darkness story cross over event. This crossover involved many of the Midnight Sons titles. Centurious, Dr. 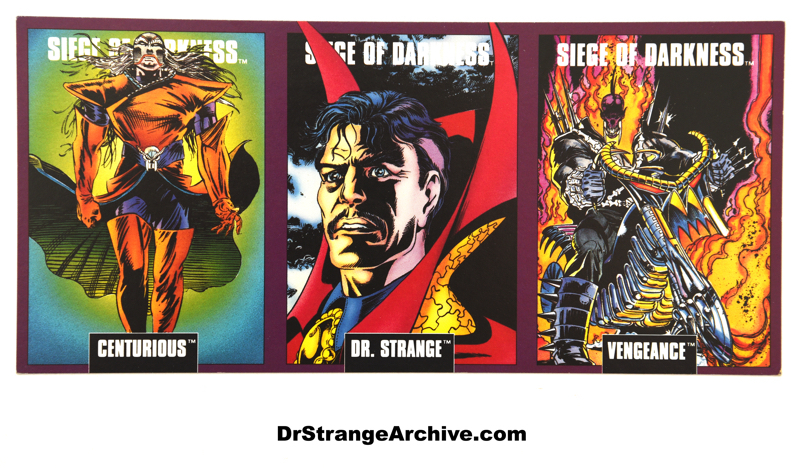 Strange and Vengeance are featured on the front of the three cards. Information on each of the three characters are on the back of the card along with some information on the Caretaker.